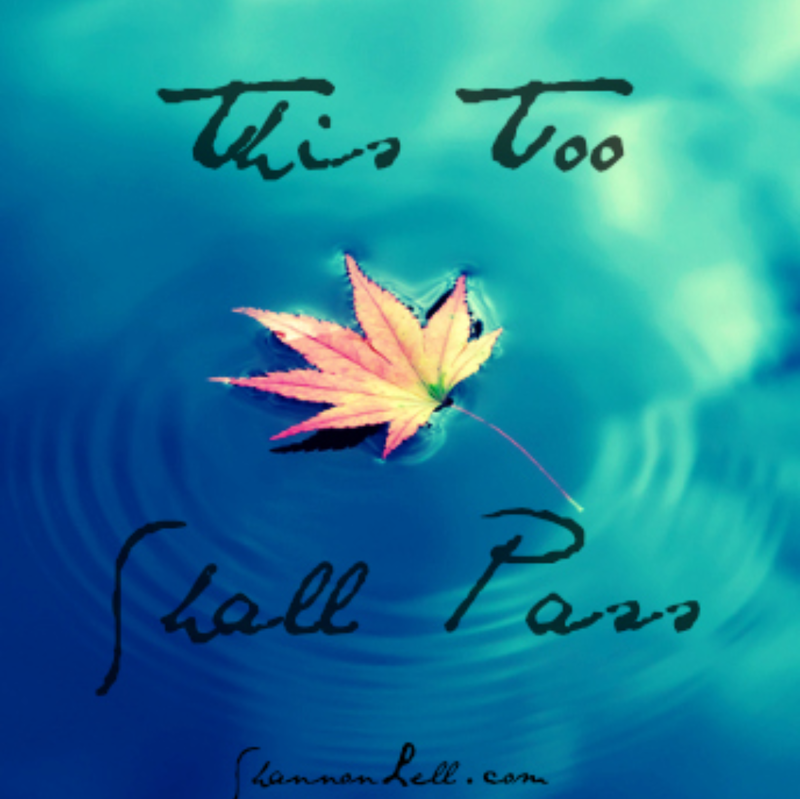 One of the most truthful statements I’ve ever heard…This too shall pass. For everything we are experiencing today shall shift, move, and transform. Everything. This is a Universal Law, as the very Universe itself is in a constant state of evolution and expansion. The beauty of this wisdom is that we discover that we are never truly stuck. Be aware that you don’t allow your own mind or others to tell you that you are stuck or not progressing, because it’s just not true. You are One with life, and life is forever in a constant state of change and evolution. The one thing we can count on is change! Change seems to terrify so many humans that have lost their awareness of their connection with life itself. I Love to observe nature as a focal point of this very truth. Observe the subtle shifts of nature as the moon illuminates and then seems to disappear over and over again. Observe the trees as they burst forth in full gorgeous blossom, then they slowly start to drop those gorgeous petals until we start to observe soft green baby leaves growing where the blossoms once delighted us. And subtly those baby soft greens become stronger and bigger, only to start to slowly drop and fall away in the autumn one-by-one. Then we observe a stark naked tree that appears to be asleep in deep stillness and rest, only to repeat this miraculous cycle again in the Spring. Observing and connecting with nature helps us to remember we are One with life. We start to FEEL One with nature and its cycles rather than separate and fearful as we cling and attempt to control life. It’s a useless Battle fighting life, and an exhausting one. Each day we are given a fresh New Now to enjoy to the fullest as we live in surrendered trust. Or we can attempt to control life again living with great stress, tension and dis-ease. The choice is ours to make and an important choice in regards to our joy, health and happiness. There will be times you feel like your life is bursting forth in magnificent blossoming. And there will be times it feels all you are, all you’ve known is falling away beyond your control. Let it fall! Trust that this Divine and intelligent Universe has a beautiful Divine plan for your life. Just like it has a plan for that little maple seed that will one day become a big beautiful maple tree towering high in the forest. There is also a Divine plan for You! Today go and connect with nature, maybe take a nice stroll through the forest or a nice park. BE with nature sit down somewhere comfy and close your eyes and listen deeply to the sounds. FEEL yourself connected and rooted to the Earth. Observe the current cycles occurring all around you, notice it these cycles feel symbolic for what’s occurring within yourself or your external Reality. Are you experiencing a deep quiet restful Winter? Or are you bursting forth ready to blossom with New growth? Enjoy observing, feeling, connecting and listening!